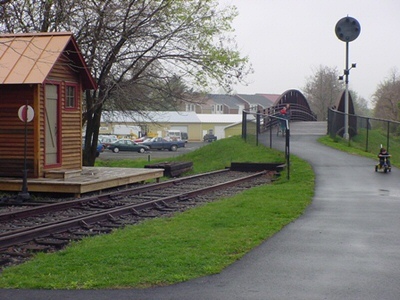 This rails to trails gem stretches a distance of 1.48 miles from the trailhead at 4th Street in old town Warrenton to the current end at the cul-de-sac on Old Meetze Road. 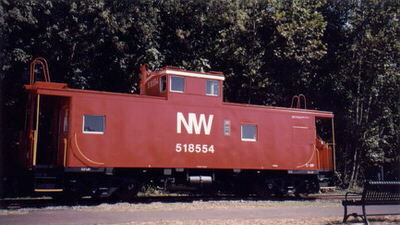 The trailhead features the old rail yard, a renovated caboose, and park plaza. During trail installation, the old railroad turntable was uncovered. This special piece of county history was abandoned and covered by the railroad in 1951 due to the advent of train engines that could run in both directions. The trail is paved, ADA accessible, has three road crossings and two bridges. The Warrenton Branch Greenway is suitable for walking, biking, dog walking, and inline skating. From US-29 N\S, take Meetze Rd exit\VA-643. At stop sign, follow Meetze Rd, north toward Warrenton on Lee St. Go straight through 4-way stop signs, and take left onto 4th Street, parking lot is on the right with the Greenway straight ahead. At stop sign follow Meetze Rd. south away from Warrenton, approx.. ½ mile to the right onto Old Meetze Rd, to the trail parking lot. This combination path and historic area has become a focal point for downtown Warrenton. The Warrenton Branch, a spur of the Orange and Alexandria Railroad line, was completed in 1852. Passenger service continued on this line until 1941 and all service was finally discontinued in 1988. During the 136 years that the Branch was operational it was replete with its own examples of historic Virginia events. One of the first notable events was the visit by U.S. President Franklin Pierce. The President arrived in Warrenton via the railroad and this occasion is considered to be one of the first times that a President used the rail to visit the country for relaxation. Although the line had been operating for less than ten years, it became a transportation route and hosted other significant events, on both sides, throughout the Civil War. In 1862, Union General George McClellan reviewed his troops for the last time after being relieved of his command and continued back to Washington D.C. via the Warrenton Branch. Beginning in 1863, the station became the site for a number of actions conducted by Confederate Col. John S. Mosby. It was also the site of the attempted assassination of Col. Mosby as he was exiting the train. During the first few decades of the 20th century the Branch was the scene of other historical events, including the visit by William Jennings Bryan who came to preach at the annual Chautauqua held in Warrenton. The station saw more military action during this time period when the Warrenton Rifles U.S. Company C boarded the train for their trip to combat Pancho Villa. In 1935, First Lady Eleanor Roosevelt came to Warrenton as part of the Farm Housing Service and met with the women of Fauquier County. The Warrenton Branch helped create the growth of Warrenton by providing a means of communication and connection to the rest of the world. Utilizing a Virginia Department of Transportation grant; the Fauquier Trails Coalition, the Town of Warrenton, and Fauquier County Parks and Recreation Department have cooperated to develop this important walking/biking trail along a portion of the old Warrenton Branch spur line. 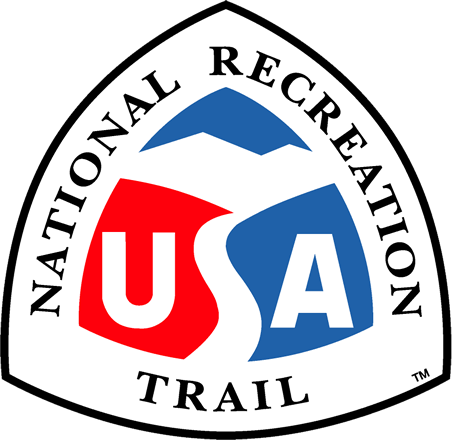 The trail currently stretches a distance of 1.48 miles, from the rail yard trail head at the 4th Street parking lot in downtown Warrenton to the Old Meetz Trailhead on the cul-de-sac at Old Meetze Road, adjacent to Warrenton Mini Storage. The trail crosses three town roads that provide access to neighborhoods and includes two bridges. Citizens use the greenway to walk/bike from residential communities that are connected by sidewalk to Old Town Warrenton where they take advantage of local shops, a seasonal Farmer's Market, library, County Government Offices and Courts, Taylor Middle School, and a downtown park. Mileage markers, informational kiosks, benches and trash cans are strategically placed along the trail. Leashed pets are welcome and encouraged by providing pet waste disposal stations along the way. Current counts record over 70,000 use trips each year by residents and visitors. It is a perfect trail for learning how to ride a bike, skate, or just get some fresh air. The trail is ADA accessible at both ends and has very mild grade changes. Parking lots are located at each end of the trail and a bike rack has been installed at the 4th Street lot. Landscaped beds have been installed at points bordering the trail including beautiful rhododendrons, viburnums, redbuds, and river birches. A park and plaza area with a railroad theme has also been constructed at the 4th Street trail head. There is a small parking area and there are plans for an amphitheater with a railroad flat car to be used as a stage. A short section of rail line has been installed by the Piedmont Railroaders Club for the retired caboose that was donated by the Norfolk and Western Railroad. Painstakingly restored by the Piedmont Railroaders, it is a major focal point for this facility. The renovated caboose contains railroad memorabilia and is open for guided tours seasonally. This volunteer group has also added a switch shanty, railroad signage and a working signal light. In addition to the actual work on the trail installation, the old turntable has also been uncovered. This special piece of county history was abandoned and covered by the railroad in 1951 due to the advent of train engines that could run in both directions. Now it provides a glimpse into a by-gone period. The Warrenton Branch Greenway is one of 1600 rail-trails supported by Rails-to-Trails Conservancy, a nonprofit organization that is working to create a nationwide network of trails from former rail lines and connecting corridors. Future plans extend the trail to Lord Fairfax Community College and the Stafford Educational Farm which will add an additional 1-2 miles of enjoyment. The greenway has been involved in many races, including fun runs, 5K walk/run races, and bicycle rides organized by different trail and health organizations. These organizations include Fauquier Trails Coalition, Fauquier Running Club, Partnership for Warrenton, and others. The Fauquier County Department of Parks and Recreation is responsible for the overall maintenance.